April 23 - 25, 2019 will be the 10 th International Specialized Exhibition " URALEXPOSTONE 2019: mining, factory, processing and use of natural stone". The exhibition will be held in the exhibition center "URAL DESIGN CENTER". 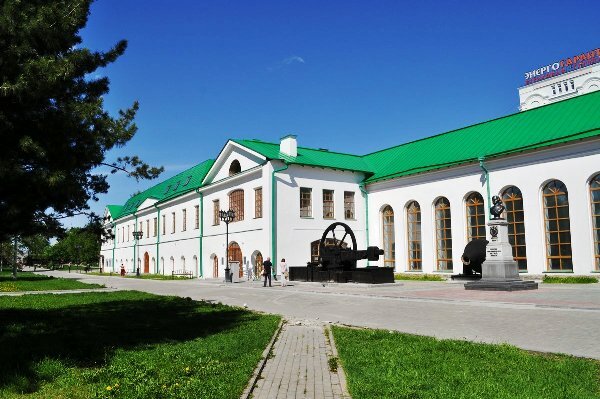 The organizer of the exhibition is the Association Stone Industry of Russia "Stone Center" with the participation of the Ural State Mining University. 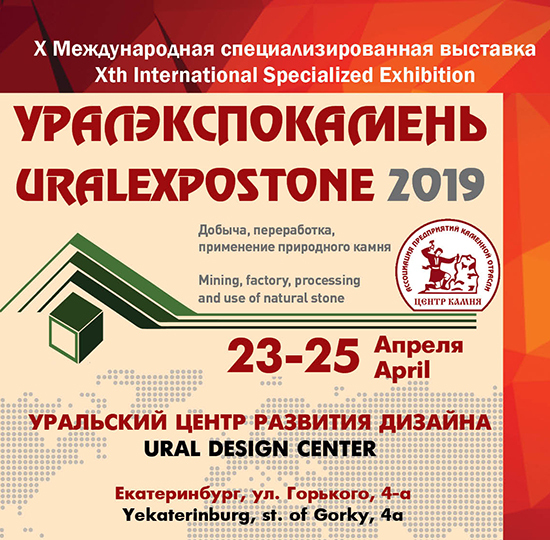 The exhibition URALEXPOSTONE 2019 will be attended by companies from various Russian regions and other countries, demonstrating their exposure in the field of mining, processing and use of natural stone. • Annual General Meeting of the "Center Stone" Association members. Take part in the exhibition " URALEXPOSTONE 2019"!